DR MARTENS BOOTS. UK 8 EU 42. NEW NO BOX. 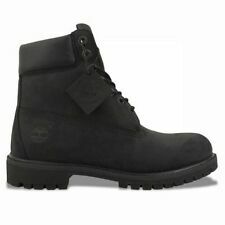 X DISPLAY NEW BOOTS SOFT WAIR AIR WAIR. LIGHTWEIGHT DR MARTENS BOOTS. Condition is Used. IN GREAT CONDITION WITH HARDLY A MARK TO THE UPPERS & SOLES AS U CAN SEE FROM THE PICS,REALLY A GREAT PAIR OF BOOTS. Dr. Martens 1460 Burgundy Leather UK 8 EU 42 Classic Rub Off 8 Hole BNWB. Condition is New with box. Dispatched with Royal Mail 2nd Class. PUNK DOCS DMS LEATHER. NEW Dr Martens. Zur Versteigerung stehen ein paar TredAir Doc Dr. Martens Gr. 42 , 10 Loch, Glattleder Made in England. mit aufgenähter Sohle und Stahlkappe. Verkaufe wenig getragene Dr. Martens in der Größe 42 (hoher Neupreis), leichte Gebrauchsspuren, Sohle wie neu. Longest length of sole 12". Top of midsole to top of boot 4". Hard to find and unique DM boots. Dr Martens Boots 1460. Brown / Harvest Colour. 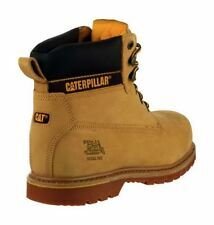 Classic boots! DR. MARTENS 1460 BOOTS. SIZE UK 8, EU 42, US 9 M, US 10 L.
Elles seront expédiées dans une boite Dr Martens récente (je n'ai plus la boîte d'origine). 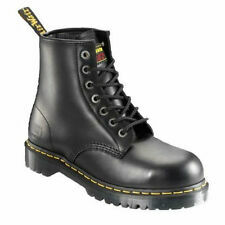 Dr. Martens 1460 Smooth Black UK 8 EU 42 US Male 9 Female 10. Condition is Used. Dispatched with Royal Mail 2nd Class. Really good condition only worn a handful of times. 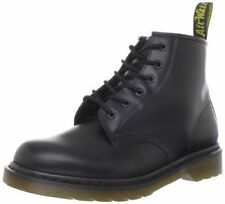 Dr. Martens 1460 Smooth Black UK 8 EU 42 US Male 9 Female 10. Condition is Used. Dispatched with Royal Mail 2nd Class. Green Dr Martens Air Wair Lace Up Unisex Size 8 42 Used. Condition is Used. Dispatched with Royal Mail 2nd Class. Selling my green Dr. Martens boots. I bought these 15 years ago from Camden Market in London. please note the woven tags at the back on the boot have been damaged over time, they’re both intact but aren’t in perfect condition. One of the laces came with the boots, the other is a replacement lace (they are different). They are fantastic but I don’t wear them anymore so time for a new home for them! Thanks for looking. Épurées, élégantes et solides, ces bottes combinent style utilitaire, lignes classiques et attitude distinctive. Dr Martens Smiths Daze 22572102. Multi Daze Backhand. Matière : Cuir Backhand ; un cuir pleine fleur, bien fini et confortable. Derbies cuir noir doc martens. Excellent etat.